Here in the Pacific Northwest and all around the globe, the #beanoptimistchallenge has brought 31 days of Optimist Club projects and positivity to the forefront. Some from our district that we enjoyed the most are included in the following video. There are so many more projects that our clubs do each and every day to bring out the best in youth, community and themselves. We thank you for your service in making the world a better place to live and we invite you to tell us your story. 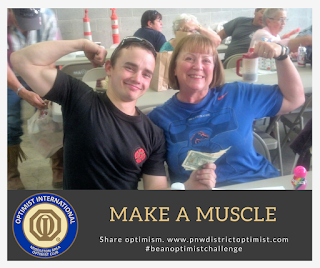 Please send a note and a picture and let us know what is happening in your Optimist Club. It may be Day 31 of the #beanoptimistchallenge, but let's not allow it to be the final day of celebrating our service. Stay optimistic! Every day, Optimist Clubs perform amazing projects with an emphasis on activities that help children be the best they can be. This was especially true for the Jerome, Idaho Optimist Club on May 7, 2018, at one of its favorite programs, the Special Needs Fishing Derby. "The Jerome Optimist Club is so lucky to have had beautiful weather and sunshine for its annual Special Needs Fishing Derby. The JOC has joined the Martin Farms Family for 40 years with the Special Needs Fishing Derby. We are so lucky that the Jerome School District still allows us to open our hearts and fish for lots of fun. We had over 150 students, plus their teachers, aids and parents, as well as, 9 Optimist Members, 23 Jerome High School Students and 41 other community volunteers. We rocked at a great time!!!" Thanks to Sheri for sharing the #OptimistsinAction story with us and many thanks to the Jerome Optimist Club and participating community members for making a special day for some special children. 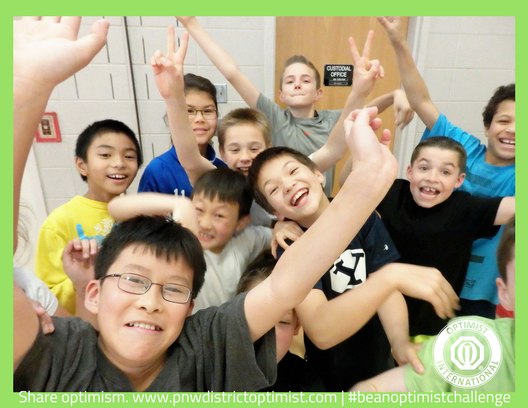 The #beanoptimistchallenge continues through May 31, 2018, and the PNW Optimist Clubs website is playing along. We are highlighting some of the projects that Optimist Clubs do in their communities. 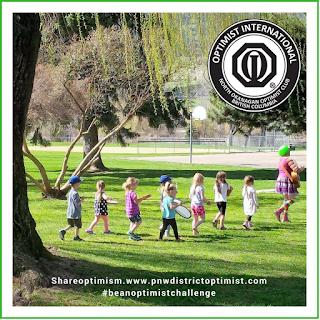 Today we look at the Beaverton Optimist Club, the North Okanagan Optimist Club, and the Middleton Area Optimist Club. 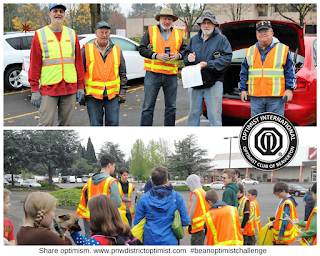 The Beaverton Optimist Club has been providing community service with roadside clean-up for many years. This year it added some extra hands with some youthful volunteers. 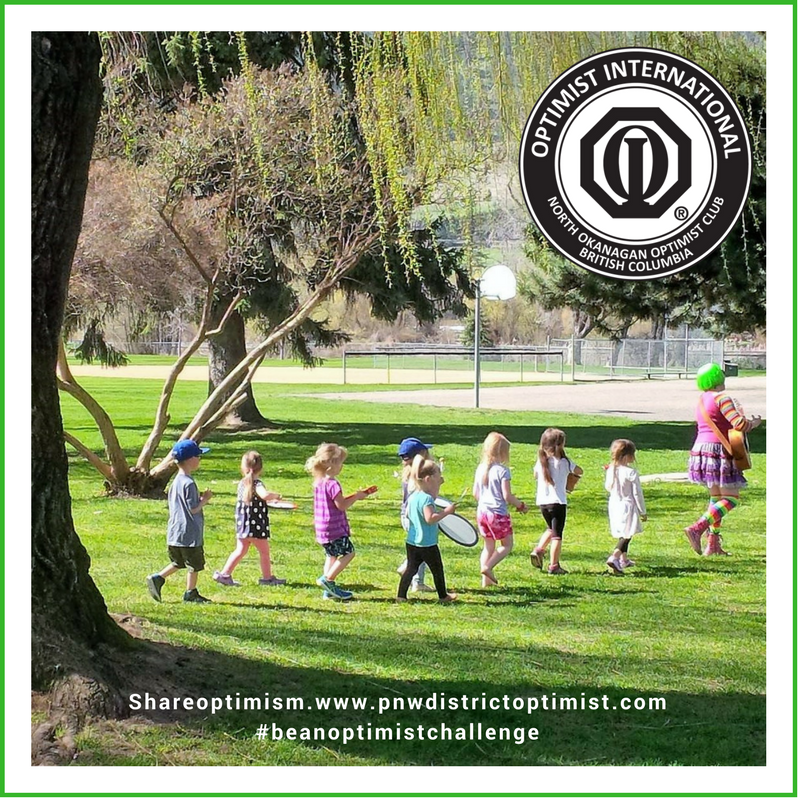 In Vernon, BC, the North Okanagan Optimist Club sponsors a huge, community-wide Unplug and Play Week. One of the objectives is to help children and families find the outdoors again. In this picture, a muse leads a group of children on a musical adventure. The Middleton Area Optimist Club partners with the Middleton Rural Fire District to host its fundraising bingo nights, among other things. In return, the club helps the Fire District with its events like raising money for the Muscular Dystrophy Association. At bingo, they make a muscle for the brave individuals affected by this disease. Please share a photo and story - a few lines will do - about the projects that your Optimist Club performs in your community so we can celebrate your successes with you. 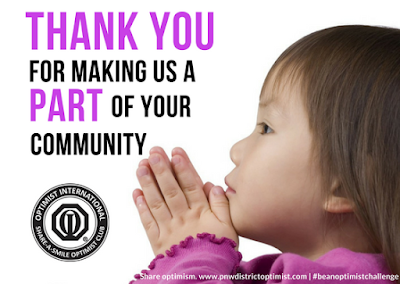 Thanks for all that you do as an Optimist Club member. Do you see the smiling faces in the photo? That's Coralee Lord Holmes and Nancy Guitar of the Chilliwack Optimist Club and they are smiling because they are living the Optimist Creed. 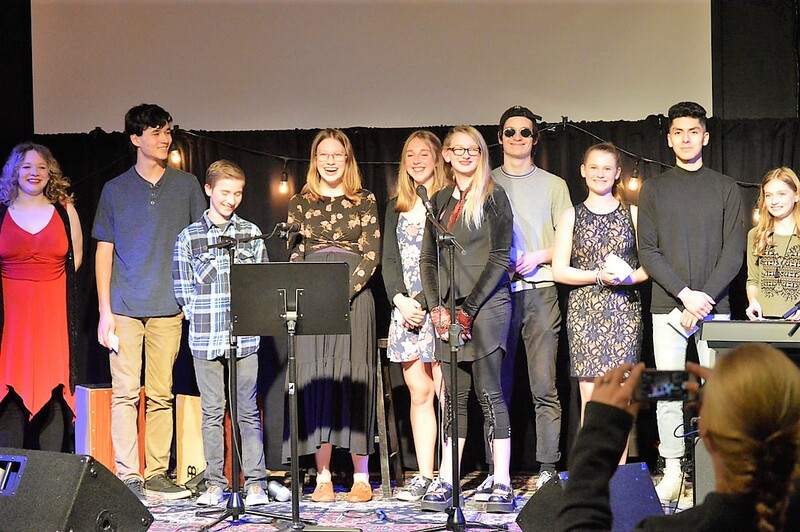 They are also smiling because they are finalists in the Optimist International #ReelOptimism contest. We're pretty excited for them and encourage you to vote for them - every day - between now and May 31. Coralee says, "You can vote once per day, per IP address, which means you can vote once at home, vote again at work, vote again at the library..... wherever. Please vote! Every day until the end of May!" 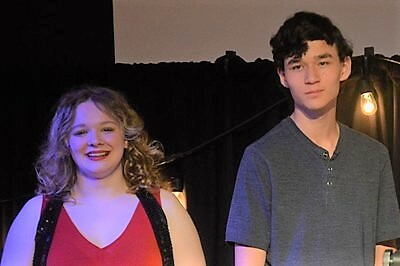 The award is $1,500 US and the Chilliwack Optimist Club has dedicated its award to its newest project, bringing the Dolly Parton Imagination Library to the Fraser Valley in British Columbia. 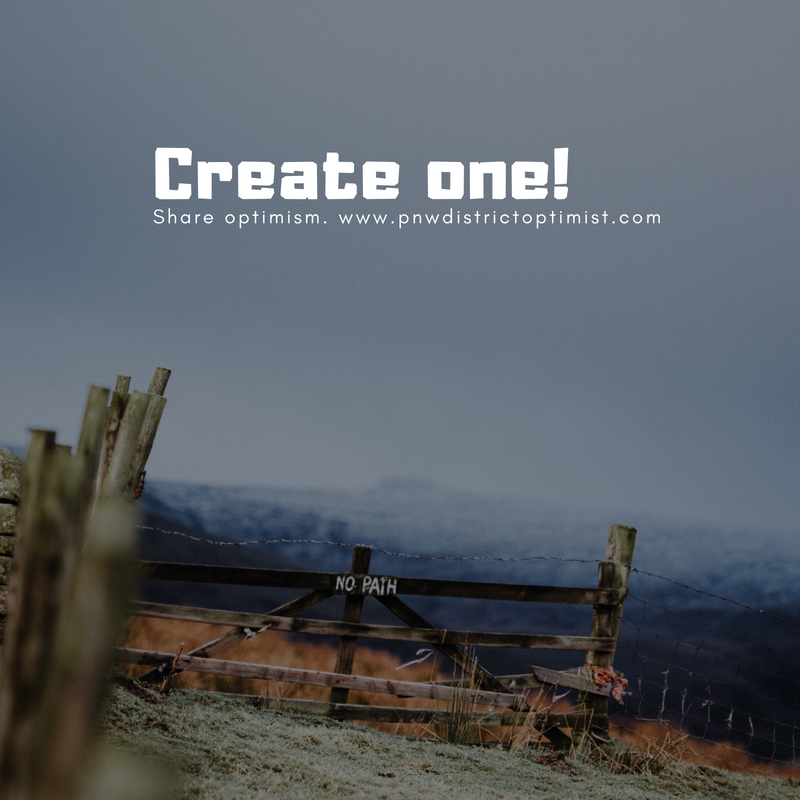 Won't you share optimism and help them achieve their dream? Just vote. In order to provide more hands-on service to Optimist Clubs, the assembled group approved increasing the number of zones and lieutenant governors from 6 to 12. Caucuses were held for the election of lieutenant governors, but without a large representation of club members, the process was delayed. Ben will follow-up in the next weeks to fill the new opportunities created for service in the district. Ben also explained that he had discovered there are portions of British Columbia that are not included in any existing district boundary. He achieved approval to petition the Optimist International Board of Directors to include these areas in the PNW District. 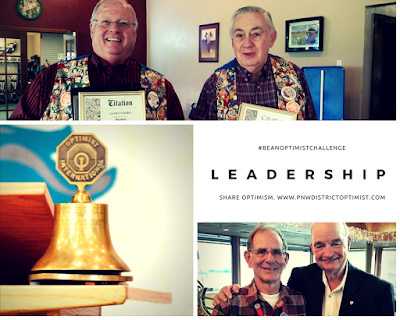 He further explained that Utah, with only one Optimist Club in Salt Lake City, would benefit from outreach from surrounding Optimist Clubs. 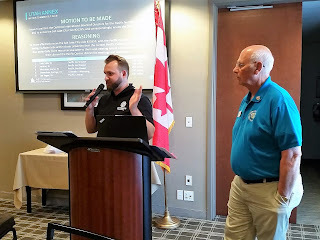 Tentative approval was given to reach out Optimist International and the Pacific Central District to include this area in the PNW District pending concurrence from the easternmost clubs of Twin Falls and Jerome. Asha will now move forward to the Optimist International World Championships being held in St. Louis and online, June 28-29, 2018. Congratulations to the winners, and thank you to all participants. You were remarkable! We also send a big thank-you to Governor Bruce and Judy Gilbertson and Secretary-Treasurer Mary White for the planning and execution of a successful event. Our next gathering will be the PNW District Convention, August 10-11-12, 2018, Lebanon, Oregon. The Lebanon Optimist Club is looking forward to hosting a big group - save the date and make your plans now! Membership retention and recruitment tip #57: Create a path to leadership. If one person is always the committee chair of the club’s biggest event, always doing things his/her way, that leaves little room for new ideas to grow. Not only does the club suffer from the lack of new ideas, members become disillusioned and leave. 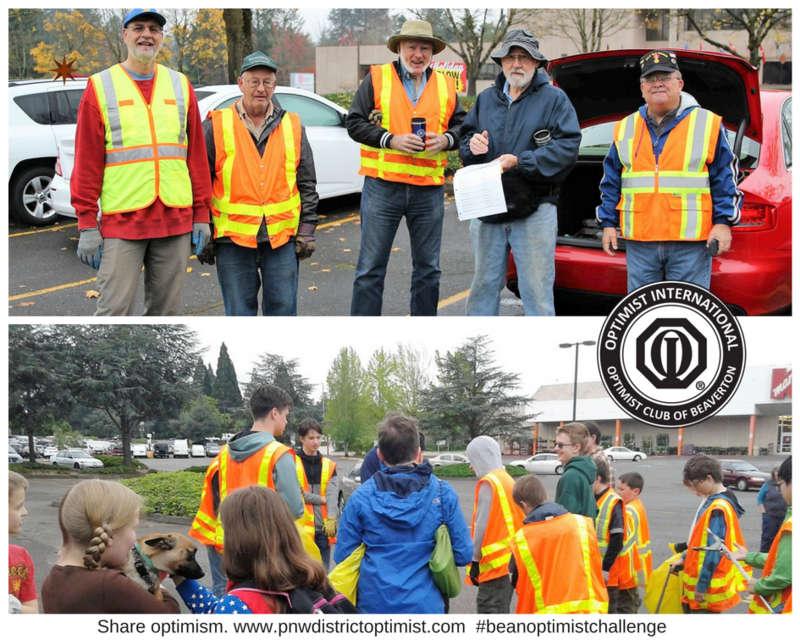 The authors of pnwdistrictoptimist.com are participating in the 31-day #beanoptimistchallenge coordinated by Optimist International. 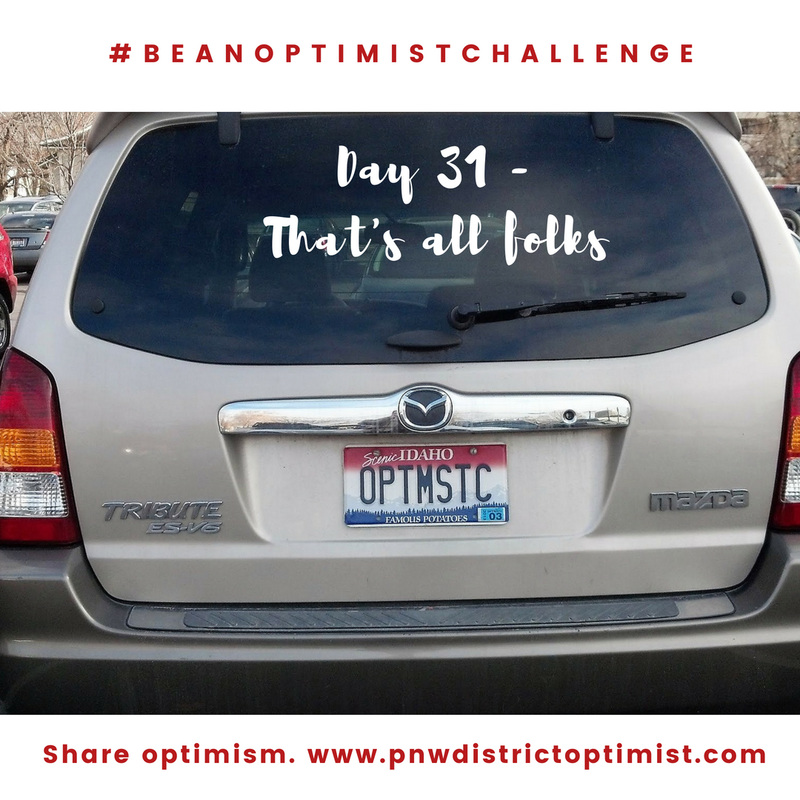 In the first 10 days, the topics have included gratitude, enthusiasm, and leadership, among other things, some of the most important qualities of an optimist. We thought we'd share a few of the photos here. We encourage you to watch for more photos as the month progresses. 2018, at the Vineyard, Chilliwack, BC. As part of the first place prize package, Kristina will also receive a recording session with Tractor Grease Studio. Thanks to the Chilliwack Optimist Club for sharing the news.